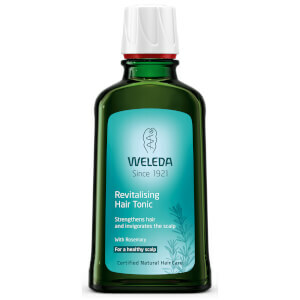 Perfect for hair that's in need of some TLC, this Revitalising Hair Tonic by Weleda boasts an innovative formula full of effective ingredients. Containing hydrating Rosemary Oil and extracts of Stonecrop and Horseradish leaves, it works to promote natural hair growth whilst maintaining a healthy scalp. K.D.